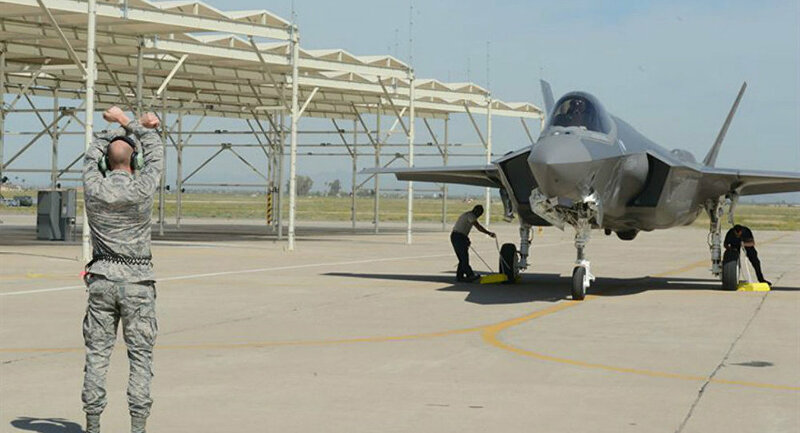 In January, the US government approved the potential sale of 34 F-35 jets to Belgium, at $6.53 billion. The problem is that, apparently, the Belgian military did not mention the possibility for an upgrade of aging Lockheed Martin's F-16, for a much lower cost than a purchase of new F-35 aircraft, to Defense Minister Steven Vandeput. The Belgian opposition in parliament has accused the minister of either being manipulated or having lied to the parliament. Apart from Lockheed Martin, Brussels was considering proposals from Eurofighter Typhoon manufactured by a joint UK-French-Italian company. At the same time, France pitched its Rafale fighters to Belgium in a separate proposal. Belgium is not the only NATO country looking to update its air fleet. Greece said Saturday it was launching the modernization of its fleet of F-16, after hesitating for six months because of concerns about its cost to the over-indebted country. The upgrade was approved at an emergency meeting of the Government Council for Foreign Affairs and Defense, chaired by Prime Minister Alexis Tsipras, according to his office. Defense Minister Panos Kammenos said the planes would be upgraded to the level of the F-16 Viper. Earlier, Poland announced that it had chosen the F16-Viper to replace its present fleet of fighter-bombers. Three candidates were ready to meet the demand of Poland: Airbus DS with Eurofighter T3 Typhoon II, Saab with JAS 39 Gripen E and Lockheed Martin with the F-16 Viper. Lockheed Martin has been selling its F-16s outside of NATO as well: the US State Department last year approved a sale of 19 F-16 Viper fighter jets to Bahrain. Belgium, however, apparently has its heart set on the F-35. The official reasoning for the replacement of F-16 jets is that they are about to reach the upper limit of flight hours, 8,000 hours. However, a 2016 study by the aircraft manufacturer suggests that Belgian fleet of F-16s might have additional six years in them, the country's media reported in late March. Incidentally, the US Air Force is extending the lifespan of their F16 fleet to 12,000 flying hours. The US military has to fill the gap left by the delays in deliveries of F-35, but this will also allow them to fill the minimum staffing requirement which would not be possible with new aircraft. The F-16 Viper features a new Northrop-Grumman Electronically Scanned Array Electronically Scanned Array (AESA) APG-83 "Scalable Agile Beam Radar." The new equipment gives the pilot a superior view of a target area. The jet's avionics have been upgraded as well. The upgrades will not apply to all of F-16s, but rather to the ones with the largest potential. However, the general idea, according to the manufacturer, is to marry increased performance with affordability.